Everyone knows what a scholarship is. It’s free, no-strings-attached money to help a student pay for their higher education. In some cases, there are significant strings attached—including a few situations in which scholarship funds may be treated as taxable income. While it’s unusual, it’s also important for both students and scholarship providers to know how this can happen, and how it can be avoided. The tax status of scholarships was first codified in 1954, and until 1980 it was exceedingly simple: for students pursuing a degree, all scholarships, fellowships and grants were tax-free, no matter what the funding was used for. The first major change to this system came in 1980, when the Tax Treatment Extension Act was passed. This amendment to the tax code specified that scholarships, grants or fellowships could be taxed if they could be considered “fees for services.” In IRS terms, that means “[money] received as payments for teaching, research, or other services required as a condition for receiving the scholarship or fellowship grant.” Exceptions were later added for teaching and research assistantships and for certain federal student aid programs, but this represented the first time any income related to scholarships was regarded as taxable. The 1986 Tax Reform Act added significantly more potential taxation to scholarship and grant funds. For the first time, the new law specified that portions of scholarship aid used for living, travel or research expenses would be treated as taxable income. While later amendments eased some of the tax burden (especially for graduate student teachers), this potentially costly law remains on the books today. Finally, current law also states that scholarships for non-degree-candidates are taxable. As professional certifications and certificate programs become more popular—and even vital, to industries like software development and engineering—those laws put more and more nontraditional students at risk of a heavy tax burden from scholarships. Those consequences are most stark for the student: when more of their scholarship funds go to taxes, they have less available to pay for their education. Making matters worse, most federal financial aid calculations are based on the pre-tax value of the scholarship, meaning they risk a shortfall in aid when they can least afford it. There are also powerful drawbacks for scholarship providers. As Kantrowitz says, “Private scholarship providers are reluctant to create new scholarship and fellowship programs and to expand existing programs because taxation makes the programs less effective than other charitable purposes.” In addition, while innovative scholarship funders may want to help students with the onerous costs of rent, board and transportation, the taxable nature of these funds blunts their impact. Those attempting to save money by attending two-year colleges are also likely to be hit hard. According to The College Board, 2017-18 undergraduate living expenses make up over half of all college expenses—and for students attending community colleges, living expenses make up more than 70 percent of the cost to attend. Taxing scholarships that are used for those expenses adds a huge burden to those who can least afford it, even if they’re attending school on a full-ride scholarship or in a tuition-free state. These four steps will ensure that new forms of certification and new models of payment aren’t punished for being “nontraditional.” They will also ensure qualified scholarships are available to pay for the full cost of education at eligible colleges and universities—and that will allow scholarships to be used, tax-free, to pay for room and board, transportation to and from college, and disability- and other college-related expenses. Scholarship America and our partners are in ongoing talks with members of Congress, and we hope to see some progress in 2019 on these initiatives. In the meantime, it’s important for all education stakeholders to clarify the current situation, and to support financial aid innovation and student support. 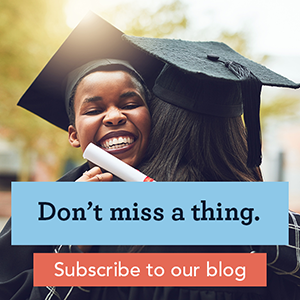 This post is based on research originally presented at the National Scholarship Providers’ Association 2018 Conference by Mark Kantrowitz of SavingForCollege.com and Despina Costopolous Emerson of Scholarship America. This post was updated Feb. 18, 2019 to reflect new statistics about living expenses.